I find one of the quickest ways to quickly understand Bloom's Taxonomy is by skimming through the various visuals people have constructed to describe them. I've compiled some below for you. 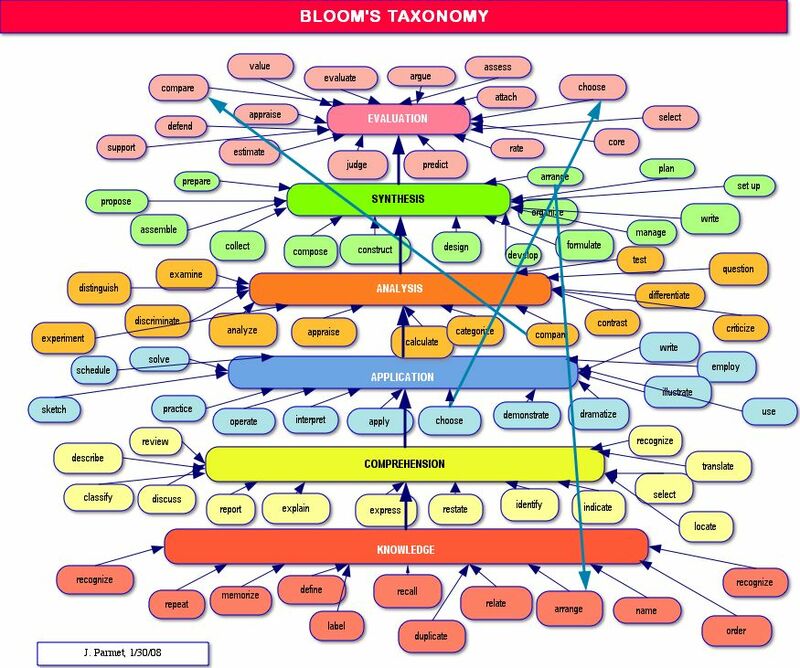 Many people use Blooms to write learning objectives/outcomes. So many want a listing of verbs associated with each domain. 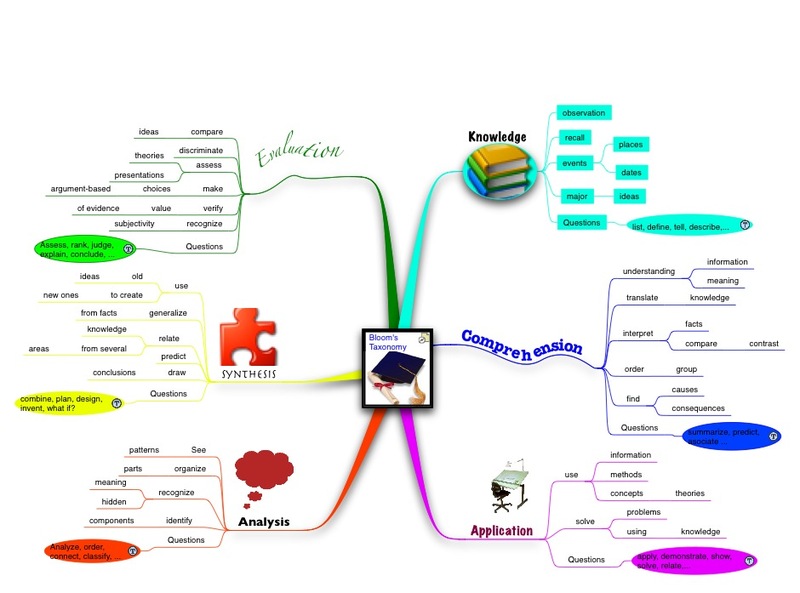 Bloom's Taxonomy as a wheel | Flickr - Photo Sharing! Now that we teach so much with technology, folks have started to mash-up technology listings with Blooms. 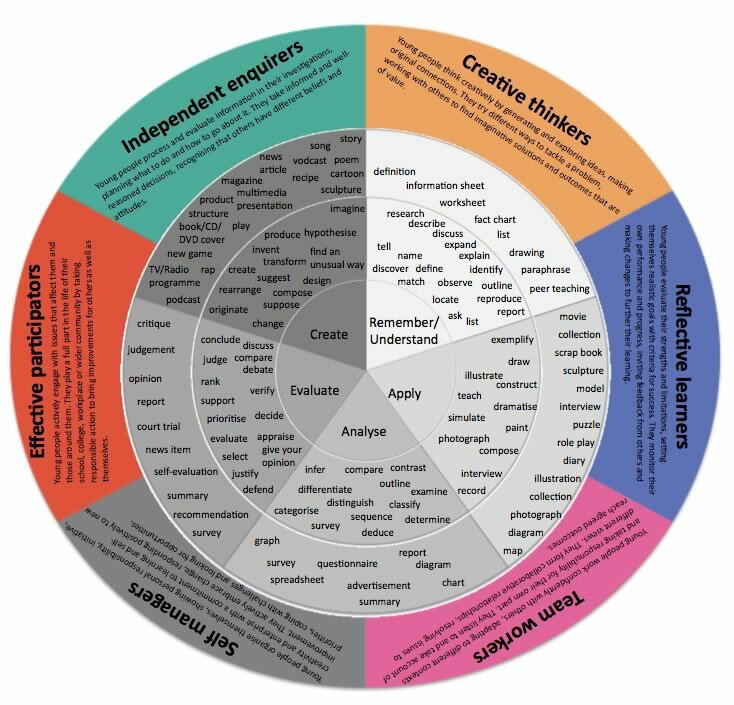 This is an update to Bloom's Revised Taxonomy which attempts to account for the new behaviours and actions emerging as technology advances and becomes more ubiquitous. Bloom's Revised Taxonomy accounts for many of the traditional classroom practices, behaviours and actions but does not account for the new processes and actions associated with Web 2.0 technologies and increasing ubiquitous personal and cloud computing. If you really want to know more, you need to do a little reading. 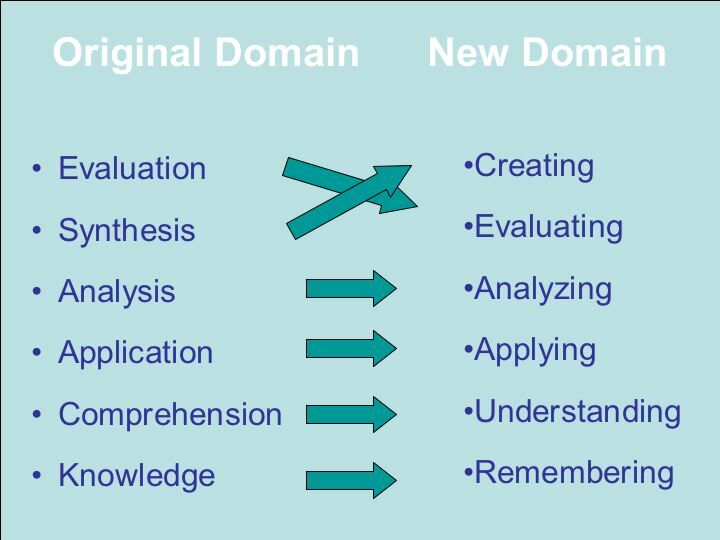 One thing you'll quickly realize is that Bloom actually talked about three domains of learning!